This preview was written based on a final review code of the game provided by the publisher. The game is scheduled to release on STEAM (Windows/Mac/Linux), PS4, and Xbox One on Tuesday, August 15, 2017. What a year 2017 has been. This weekend alone, I found myself knee deep in several excellent and wildly different experiences that are sure to make my life difficult come Game of the Year season. While both Hellblade and Pyre have both kept me busy and equally enthralled, it was >OBSERVER_ that I think surprised me the most and fueled my excitement for discussion on our next podcast (Recording live this Friday, August 18th, at 8PM cst on 4pp.tv). 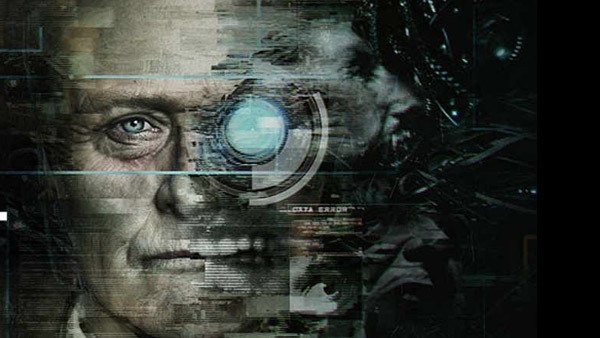 Observer is the next project from Bloober Team, the team responsible for last year’s Layers of Fear. Like that game, Observer takes a familiar setting or theme within the Survival Horror genre and manages to find fun and exciting ways to tell a story and engage the player. With that said, the game definitely sits at the opposite end of the horror spectrum from Layers of Fear which has made my first two hours with the game one of the year’s more memorable surprises for me. Set in Poland in the year 2084, Observer paints a shocking picture of the future of mankind. The world has been thrown into chaos following the widespread use of body augmentation and a ‘Digital Plague’ that killed thousands of augmented citizens. You play a detective named Daniel Lazarski who operates as an “Observer” unit within the polish police force. Observers are special detectives who use Augmentations to hack into the minds of people or suspects to access their memories and fears. It’s every bit as invasive as you imagine and it adds another layer of grime to an already bleak world. With that said, I am pretty impressed by the world they have imagined here. Throughout the opening sequence, I was getting serious Bladerunner vibes thanks to the atmosphere on display and the underlying gameplay mechanic which i’ll get to in a moment. All you really need to know about the setup is that you are contacted by your estranged son at the beginning of the game which sets in motion an investigation that leads down a deranged and psychedelic rabbit hole. If it sounds like quite the departure from Layers of Fear, that’s because it is. In addition to the drastic change in backdrop, the gameplay and the ways in which you interact with the world are way more involved in Observer. Ever since I played Condemned, I have longed for a game that simulates a genuine criminal investigation void of annoying prompts and hints; a game that truly allows the player to think and react to evidence in a way that doesn’t feel guided. Other games like Batman have dabbled but none of them have taken it far enough for my own personal tastes. It might be too early to say but in the first two hours I spent with Observer, it struck all the right notes while evoking the tension and morbid curiosity that has always made the horror genre so attractive. As an augmented detective, you are able to declare crime scenes and scour them for evidence to help point you in the right direction. A quick tap of the left or right bumper activates either a Bio scanner (for detecting and analyzing biological material) or an Electronic scanner (for detecting, analyzing, and hacking electronic devices) which can be used on a variety of different things scattered around the environment. Unlike other games, while a lot can be scanned or detected, not everything you can interact with is pertinent to the investigation and as far as I can tell, there isn’t any kind of hint system in place to direct your attention. As a result, my time spent exploring the first crime scene (involving a mutilated body found in an apartment) felt incredibly refreshing and organic. Important information is automatically added to a digital log (accessible from the menu) and for the most part, it was left up to me to decide when I should move on and continue my investigation elsewhere. The remainder of my investigation led me to canvassing the building by speaking to neighbors, asking questions (yes, there are dialogue options), and snooping in places that I probably shouldn't have been. It led me to a number of interesting side stories including a tenant suicide and a woman using an illegal machine to hack into the mind of a young child; both of which expanded the world in some colorful and welcome ways. Honestly, there is a lot more I could say but I still have plenty left to play. Observer is not without issues but it certainly used it’s first two hours effectively and successfully captured my attention. It’s a testament to how important first impressions can be; especially in a year like 2017 when the market is flooded with incredible games. I’ll be spending a lot more time with the game throughout the week so if you want to know more, tune in on Friday (August 18th) as I plan to talk about it at length on this week’s podcast. Got damn am I excited to try this for myself. I'm glad that Bloober Team didn't stick with the setting they've already tried. The fact that you said this seems more involved than Layers of Fear sounds great. Layers of Fear surprised me in ways I didn't expect even without being incredibly involved. Although it felt familiar to other horror games for some reason they made it feel fresh at the same time. Now they're going with a relatively fresh setting for horror and I'm betting they'll be able to surprise me in some unique ways with how you explore and uncover this world.